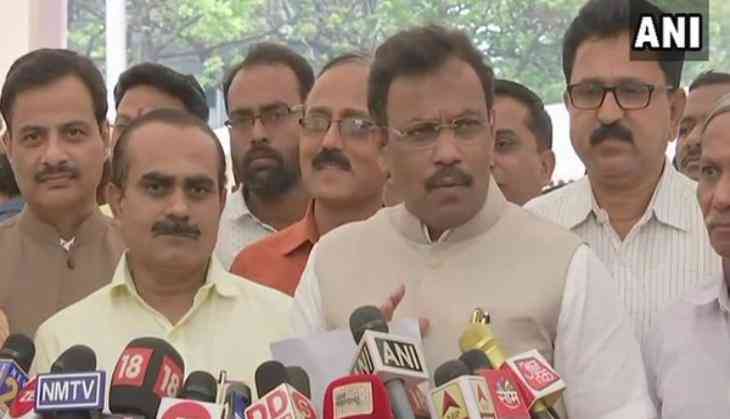 The Education Minister of Maharashtra, Vinod Tawde ordered an inquiry in MIT Pune's Vishwashanti Gurukul incident on Monday. "It is not correct to search girls in this manner. Board doesn't give such order. We are also planning to change the exam centre", said the Minister. The inquiry was ordered in context with the incident, which occurred during February 21-28 when girls were asked to remove their clothes in the name of frisking before exams. The exams, held at the Vishwashanti Gurukul School of the Maharashtra Institute of Technology (MIT), resulted to an immediate outburst of anger among parents. According to reports, after the incident, the police had filed a case under various sections of the IPC and under the Protection of Children from Sexual Offences Act (POCSO) against the two female guards involved. An FIR was registered against these two guards of MIT College of Engineering, Pune. However, MIT had recently claimed that one of the girls and her parents filed a bogus case against the school management as the girl was not allowed to copy during the examination.